Stablegear Cruppers are made to order from Beta or Hi Flex BioThane. 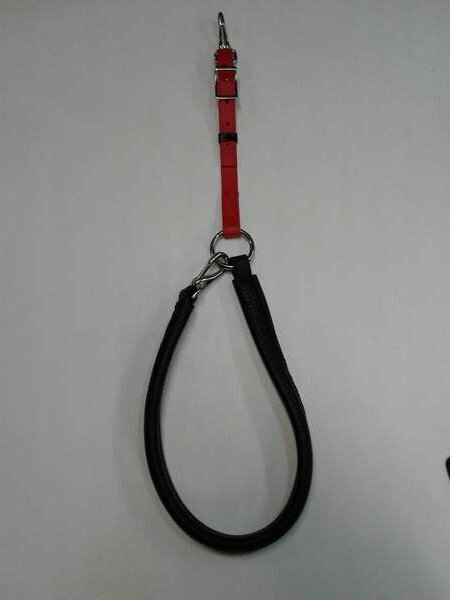 Crupper can have a tailpiece that is neoprene covered, Black Vinyl Tubing, or seed stuffed leather. I have most colors of beta and biothane in stock. 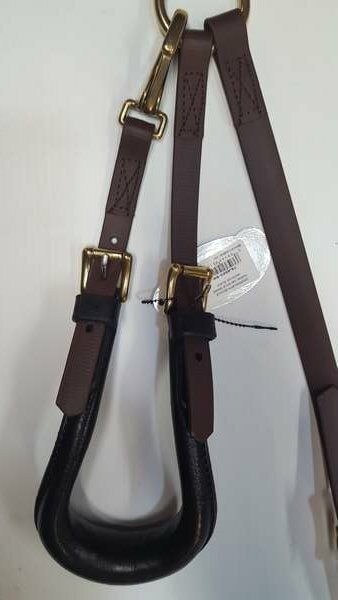 The main strap is adjustable to fit a wide range of horses. If you have an exceptionally short or long backed horse measure from the top of your horses tail to the center ring on your saddle to find the exact length you need. Make a note of this in the checkout info and I'll be sure to send one that fits. If you don't have a center back ring I can make a special crupper with double straps or a strap with a snap on each end and a ring in the middle. Cruppers help hold your saddle in place when going down hills. Even a saddle that fits can put pressure on the withers or allow the saddle to slide too far back on steep hills.Beta Biothane is a soft, supple PVC coated webbing with a leather grain embossing. Beta does not absorb sweat can can be hosed off of dunked in a bucket of soapy water to clean. No oiling necessary.